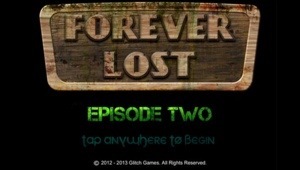 Click here for the walkthrough for Forever Lost: Episode 1! Looking for my Episode 3 walkthrough? 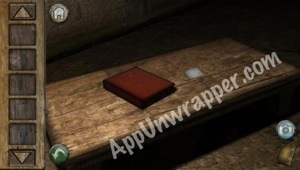 This is a walkthrough guide for anyone who needs help, hints, or cheats with Forever Lost Episode 2. 1. You start off where the first episode ended, at a big opening. Tap the doorway to the left to see a staircase and head down. 3. When you wake up, you’ll hear a phone ringing. 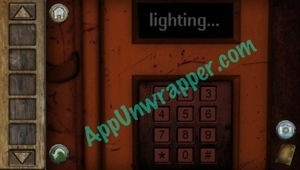 Tap it and enable the lights by dialing “1#”. 4. Tap the table and pick up the half of a business card. 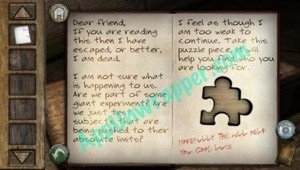 Also open the book and take the puzzle piece. 5. Tap on the bed to get a clue. Take a photo of it bc you’ll need it for a puzzle in this room. 6. 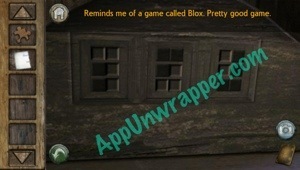 Tap the words on the wall to see “All Together Now.” It’s also a clue for the “Blox” puzzle. 7. Tap on the grid on the wall. Notice when you tap a block, it presses in, but if you lift your finger off the screen, it won’t stay down. Open the photo you took from the bed and move it to the corner so you can copy it. Now trace the blocks that are black in the photo. A finger must stay on the screen for them to all stay pressed. 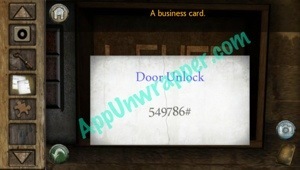 Once you solve it, it will open up, revealing the other half of the business card, a key, a button, and a clue. Take all the items and take a photo of the clue. 8. 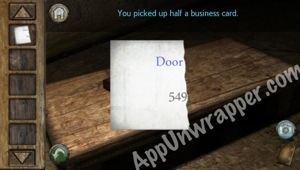 Put the two halves of the business card together to get the code to open the door. 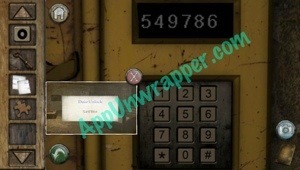 Use the code on the telephone and the door will open. 9. Enter the room. There’s a tic tac toe board on the wall. Take a photo of it. Leave the room and go all the way back outside. 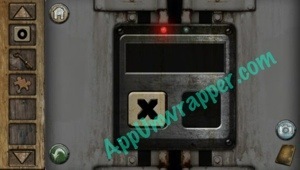 There’s a device on the wall that has an X button. 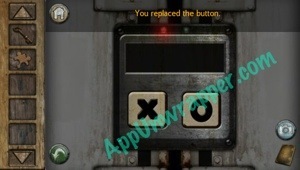 Place the O button in the slot that’s empty. 10. 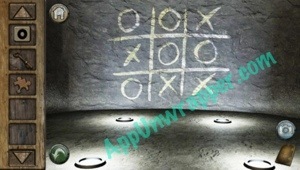 Now take out the photo of the tic tac toe game and the clue from the safe to get the combination to open the door. The clue from the safe tells you which section of the tic tax toe board to use. 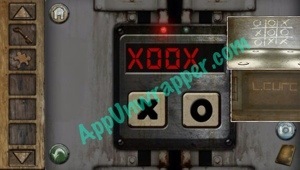 For instance, the “L” shape would be “X” and so on, so you get “XOOXO”. I cant get the combination for the safe. I’ve taken a photo of the timed doors, so i know it goes right, left, right, left, but I cant see what the numbers are meant to be. Please Help! Remember the sign post. Right is left and left is right. What safe??? Where is it? My draughts pieces just disappeared off the board & now I can’t finish that puzzle. They’re not in the box they came out if nor are they in my case so now what? i cant do anything else, i already did everything and then i go to sleep, and nothing else happens!! ??? please help me! If you are in Jason’s bedroom, you need to plant the seeds and water them, then go to sleep. Flowers will grow that give you the code for the trap door in the ceiling up the stairs. Yeah.. Where is the safe ??? I can’t figure out the s rabble board game number 2 anyone know?? Yeah what does that mean? Help please! the word game where you spell out THINK out side of the box in the exstra letter area. Thanks! Can someone help me what do to with the globe? The toast says “the world will burn” ??? And when will the rest of this walkthrough be out?! Yeah.. I’m way past where this walk through stops for now, I can’t figure out the “think outside of the box” clue. Anyone up to this point and know what to do? I can’t figure out how to enter the clue in hint #91 please help! Ugh, same as Narrufy. My game isn’t letting me add the “K” to complete the word “THINK”. Crap! Bella, in the My First Adventure game under the stairs, go to the television and push the button on the right. Enter those colors on the painting in the bedroom, should be green, pink, blue, pink, yellow, red, blue, red. 🙂 At first I didn’t realize you could push that right button and bring up anything but static on the tv. 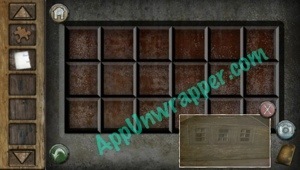 The think outside the box clue is a bug. Apple has been notified and the update should be coming out shortly. I am stuck on the “check the small print” clue. Help please. Don’t know how to find the ‘small print’ with the magnifying glass to solve the blood slide puzzle in the lab! 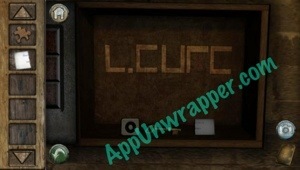 Anyone know what the code is for the computer? Does anyone know how to get past hint #103. I tried 38, 83? I can’t figure out the blue/ red space encroachment cabinet. How do you get behind the painting to get to the safe?…. Nothing happens when I click on it…. Slide the painting to the left? I am at the very end of the game and the only thing I haven’t figured out is what to do with the globe. I know the clue on the burnt toast saying the world will burn has to do with it but I can’t figure out how to burn the globe. Any ideas? Turn the gas back on and put it inside the oven. Tom put the globe on the fireplace in the living room .. But first open the gas , can anyone tell me the color should i press on the spinning clock in the staff room ??? Tom, you go upstairs and turn the gas back on, then go back downstairs and place the globe in the fire. It’s the fireplace where you shut the fire off earlier and went down a ladder to the secret arcade game. Tom, you have to throw the globe in the fire which was in the first room. Does anybody know the code of the cryptex? So I’m now stuck on the egyptain puzzle I feel that I have nine out of the 10 symbols pressed down and just need the last. I tried clicked down on each of the remaining symbols one at a time to complete the puzzle but that didn’t do anything, can someone just tell me the ten symbols to press down on so I can get the last puzzle peice and finish this game finally! I got it, thanks Tom you rule! What is the answer to the puzzle in jason’s desk? The one with the roman numerals. Look at the desk lids when they are open. There are arrows etched in to show if the lid should be up or down. Once you have them set, go back to the corridor where you look through the window at he desks. The white arrows show you the code. Does anyone knows what the cryptex Roman numeral code is? I flipped the desks up the right way, but when I look through the window into the classroom the numerals are above the desk arrows, and the arrows are pointing in random directions. One is even pointing towards the floor. What am I doing wrong? Look at each desk. On the inside is an arrow either pointing up or down. Keep desk lids open if arrow points upwards and put them down if arrow points downwards. Then go out to the first window again and the numerals will have changed. Put the numerals in order from left to right.